Compatibility between Aries and Sagittarius is quite good and they make an ideal combination. This relation is filled with craze and zeal. Both of them are very enthusiastic towards life. The violence of Aries never makes Sagittarius feel threatened. Both of them have the desire for space, and they allow the other person to live freely. No one has a dominating nature. They do not let each other down and they stand by each other in difficult situations. They need to be little careful in monetary terms. The relation between a Sagittarius woman and an Aries man is a match made by God. She is entertained by his aptitude, while he is attracted towards her original nature. She is attracted towards his jovial nature and he is excited by her charm. It is very rare they find difficulty with each other. A Sagittarius man and an Aries woman are intellectual. He is impulsive and her spontaneity is quite fair. He is attracted towards her originality. Her feelings may be hurt by his straight forwardness. There is no problem in this relation other than this. There are some things common and some things different between Taurus and Sagittarius. Sagittarius likes to meet with new people, party and travelling. Taurus is more of a homely person. This attitude of Taurus is a big turn off point for Sagittarius. The ever changing personality of the Sagittarius always bothers Taurus. They can become a good match, if they appreciate the qualities in each other and try to make the best out of it. Sagittarius will appreciate some space from Taurus. This relation can turn out to be really incredible provided the recklessness of Sagittarius is balanced by the wisdom and practicality of the Taurus. Instead of changing the other partner, they should learn to balance out each other. Sagittarius woman is dominated by Taurus man and she follows almost all the suggestions made by him. Many times Sagittarius woman may find it difficult to adjust with this nature. There can be a clash between her hesitancy and his inflexibility. She believes in freedom. It is not impossible to find compatibility in this love match. A Taurus female is attracted by the gregarious, passionate and daring nature of a Sagittarius man. We are aware that opposite attract each other and it is against her reserved nature. She likes to spend time at home, but he wants to spend time outside. This relation can go for a long run. Gemini and Sagittarius are very impatient people. It is difficult for them to stay at one place or with one person. Their life can become hurricane in case both of them come together. A Gemini does not like to engage while a Sagittarius likes to do so. Their prospect is enhanced by the fact that they rarely have dissimilar opinions. Sagittarius and Gemini are able to face major problems together, but both of them are bendy and adjustable. They are aware of each other’s perspective and give value to it. Both of them have to adjust a little, once the early magnetism of Gemini man and Sagittarius woman get over. Both of them have strong personality and they have independent strength, sociable personality, and friendly nature. He wants to live at home but she loves to go to party. Both of them can get cynical and have anger. Both of them gets engaged in meaningful conversation easily and are intelligent. They are attracted to each other on the mental level. The problem in this relation is that none of them is very affectionate by nature. They can live happily provided both of them are ready to adjust. There are lot of personal disparities between Cancer and Sagittarius. The reason for the conflict between the two can be the fact that Sagittarius is not as homely as the Crab is. Cancer is in search for steadiness, but Sagittarius is in search for lots of liberty. They may complement each other, even though this characteristic appears conflicting. A Cancer may feel unconfident because of the sovereignty of Sagittarius. Sagittarius may feel stifle due to unnecessary affection shown by Cancer. There is compatibility in this relation. But, to do so, both of them have to take the right steps. She has to understand and learn the accountability of life. On the other hand, he needs to be daring at times, and pay attention to surroundings. She wants to have self-rule and he needs regard. In case one of the person makes up the mind to perform according to the situation this relation can work. She is attracted towards his audacious and friendly nature in the early stages, but with the passage of time, it diminishes. By making complement to each other they can compensate for the lost glimmer in their relation and it can work wonders. Sagittarius and Leo are affectionate and romantic by nature. Both of them are filled with eagerness, energy and power, and there is lot of contentment in this match. Loyalty does matter at times. The Leo becomes deeply attached, after getting in a relation and does not want to drift anywhere. On the other hand, Sagittarius has a teasing nature and she is born with it. Their compatibility is strengthened by the fact that both of them are very optimistic about life. The possessiveness and jealousy of Leo is ignited by the demand of too much freedom from Sagittarius and this may take them to major problems. Other than this, there is no problem in tis relation. A Leo man and a Sagittarius woman fall in the category of well-matched relation. Both of them appreciate each other’s good qualities and they have tremendous understanding between each other. There is no sign of repetitiveness in this relation as both of them have an adventurous stripe. Both of them love to meet people and socializing. They much learn to work out the attention desired by both of them. A Leo woman finds a Sagittarius man as a very cheerful person, fun loving and lively personality. These are the points of attraction. The fire between both of them can go on for life as both of them have enthusiastic nature. The legend is permanent and the harmony is astonishing. This relation is ideal, other than few barriers which can be removed easily. Both of them have difference in nature. A Sagittarius person takes a broader and a standard stand on a situation, while a Virgo person has a very specific impression. There are hardly any points that are left unturned when both of them work together. However, both of them must realize the fact that both of them are good. By the steady condemnation of the Virgo, The Sagittarius starts to feel angry. Both of them should have great open-mindedness to make this relation compatible. A Virgo has a precautious nature and is very prepared and systematic, but a Sagittarius can be too reckless, nippy and impulsive. Both of them do not find it difficult to change themselves and this makes them compatible. A Sagittarius woman and a Virgo man do not have a compatible relation. He does not like to relate to new people and is recluse. She wants to live every moment to the maximum and is very excited towards life. She may not be able to handle his negligent approach, serious nature and solemnity. She has unpredictable actions, wild nature and excessive enthusiasm, but he has traditional characters. This relation is not so good. A Virgo woman does not like to compete with a Sagittarius man because of her basic character. He is free and lives a life filled with escapade and enthusiasm. On the other hand, she likes to stay away from any sort of trial and is very grave towards life. He is not able to meet out her requirement of protection with sanctuary. On the contrary, his actions will make her feel anxious and nervous. He has a teasing outlook and she believes in devotion. He gets tired because of her extreme caution and inevitability. Sagittarius and Libra will have good relationship compatibility as they have many things in common. Both of them likes to cooperate with group, love freedom and always have the desire to search for new things. Among the two, Sagittarius is more audacious and at times poses some threat. Both of them love to interconnect with people. Their relation is burning just like their social life, it is not bounded by limitations, and this is the best part of this relation. There is high probability that a Libra man and a Sagittarius woman will have a relation which is momentous and permanent. Her free advance towards life, natural answers and extrovert protocol is what attracts him. They have wonderful understanding between each other and persuade to discharge. There are certain differences between them, but there is nothing to be afraid of. They have to make some efforts to understand each other better. A Libra woman and a Sagittarius man are always uncomfortable with each other and this is the main barrier between them. This relation can turn out to be a strong match, provided they are ready to adjust. He motivates her to be more natural and inventive and they often engage in rational talks. They like to merge around with other people and they have a flawless sense of humor. None of the partner feels a loss of liberty with the other person around. There is considerable amount of enthusiasm in this relation. A Sagittarius and a Scorpio are quite different. 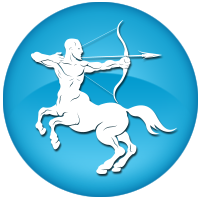 Sagittarius has positive attitude towards everything in life and mediation is something which is not associated with him. A Scorpio is not fanatical about anything in his life. The inflexible nature of Scorpio does not go down well with Sagittarius. He likes to socialize with new people. A Scorpio prefers to be among with his friends and family and is somewhat a recluse. There is extensive variety of benefits in Sagittarius. A Sagittarius is perky about love topics; on the other hand, a Scorpio becomes anxious. A Scorpio has a possessive nature, but Sagittarius love autonomy. The strong feelings of Scorpio are not understood by him. To make this relationship work both of them have to make adjustments. There is no romance in a love match between a Scorpio man and a Sagittarius woman. The arrangement of a significant relationship is stopped by hostile and conflicting environment. There is no combination between his passion and her liveliness. He wants to be at his home, but she likes to spend time outside. This relation has a good probability of going a long way. There are, however, many uncommon things between them. She is in search for safety and strong attachment, but she only gets uncomplicated adore from him. His carelessness does not match with her solidity. She is on the lookout for a serious relation. There are very few chances that this relation will work. There is a good match between two Sagittarius people. Both of them like to meet new people, search new places and want to travel. Both of them have a hopeful approach towards life and love for intensity. They will be able to achieve something in life due to their enhancing nature. They are filled with life, with plenty of explorations and diversity, and they are excited about it. Problems may occur when one of them is theoretical and the other does not pay attention to it. In case both of them have straightforward nature towards life, than they will never cause any harm to each other. 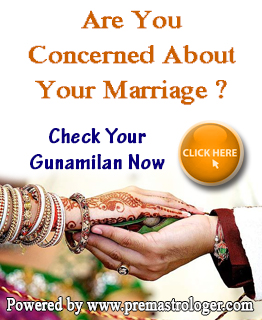 The compatibility is strengthened by the fact that both of them have very optimistic nature. Both of them love to interrelate with new people and are tremendously extroverted. A Sagittarius loves his self-rule and is completely self-governing. They are willing to go for a new trial every time there is a confrontation between them. One has to be a thinker and the other has to be a co-worker in this relation. The playfulness may be gone once they get together. This relation will start going in one direction, in case they do not take each other seriously. There is no compatibility in a relation between a Sagittarius and Capricorn, as both of them are contradictory persons. Sagittarius is eager, participating, and bouncy; on the other hand, Capricorn is filled with errands and feasibilities. Capricorn has very serious nature, but Sagittarius is hopeful. A Capricorn loves to be at home, while a Sagittarius loves to meet new people. Sagittarius is considered juvenile, selfish and reckless. Both of them can teach other lot of good qualities. Relation between a Capricorn woman and a Sagittarius man is going to sky rocket in the early days. However, they both are entirely two different people, and in case they did not learn to appreciate one another, their relation will splash in the depth of ocean. There may be some problems as she is unable to open up. She may become anxious as he is not willing to lay trust on her. To make this relation a success, lots of cooperation is required. It is not possible for a Sagittarius woman and a Capricorn man to live with each other for a long time. There are lots of dissimilarities in their personality. He is quite possessive about her, but this is not the case with her. She finds herself incomplete with a social gathering, and he does not like this idea. They can live happily with each other provided they are ready to adjust. The relation of a Sagittarius and an Aquarius will find good compatibility as they have many things in common. They have a proclivity for escapade and are very sociable. They are unable to live without amusement and they want to live untroubled. They want to keep going with what they are, the Aquarius is less theoretical than the Sagittarius. Both of them are neither touchy nor sloppy. A relation between an Aquarian and a Sagittarian, both of them are able to maintain their self-government and still continue with their desired freedom. They often engage in intelligent discussions. A Sagittarius man and an Aquarian woman are able to achieve the most wonderful type of permanent relation. There is wonderful sympathy and tuning between the two. They are able to provide what the other person requires from them and have desire for diversity in their life. They often engage in very fruitful discussions. This relation can be very good. An Aquarius man and a Sagittarius woman will be able to find contentment and factual love between each other. There is no shortage of excitement in this relation, and she loves her liberty very much. Both of them do not have any type of dependency on one another. They never feel the requirement to depend on the other, but they have strong love bond between each other. Both of them have love for life and are quite eager. A Pisces and a Sagittarius come up with very vibrant thoughts. Other people are not able to understand their thought process. A Piscean and a Sagittarius are romantic at heart and are completely idealistic. This relation can be quite confusing at times, as it may look completely out of the order at certain times and other times it looks completely well-matched. The Sagittarian will have a feeling of lonely and may be worried because of need for liberty from Piscean. The Piscean is vacillating and irresolute. Relation between a Sagittarius man and a Pisces woman can go on for long time. There can be catastrophic differences in their relation because of some dissimilarity, even though; there is considerable amount of tuning between them. She is often lost in her own wistful world, and there is no one else except her. On the contrary, he has a practical approach towards life. In case they are able to understand each other, their relation can be an example for others. Lot of effort is required on the part of both the people to make this relationship work. He is not at all willing to give her the freedom that she is so desperate to have. She has a curious nature and is always learning, but he does not like this idea. He is compassionate; on the other hand, she is too straightforward.